Sacred task: An artisan works on bronze incense burners at the An Hội traditional craft village in HCM City’s Gò Vấp District. — VNS File Photo. HCM CITY — There exists in HCM City a century-old bronze incense burner-casting village called An Hội in Gò Vấp District, but there are only five families here still practising the traditional craft. Here, along the quiet Nguyễn Duy Cung Street in Ward 12, one can sense a slow pace of life and tranquility. 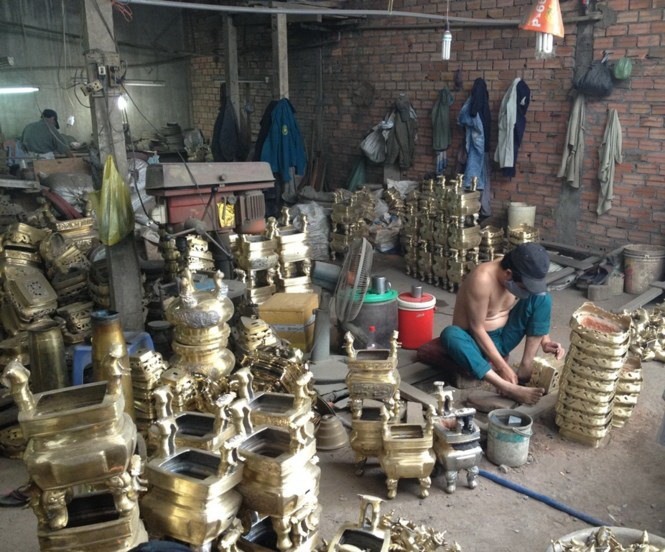 Trần Văn Thắng, who has spent nearly half a century producing bronze incense burners here, said the craft first appeared in the late 19th century, with dozens of families taking it up as a means of livelihood.